Automotive giants including BMW, Ford, General Motors, and Groupe Renault, among others – accounting for 70% of global vehicle production in terms of the market share – have formed a blockchain consortium in a bid to make transportation safer, more affordable, and more widely accessible. 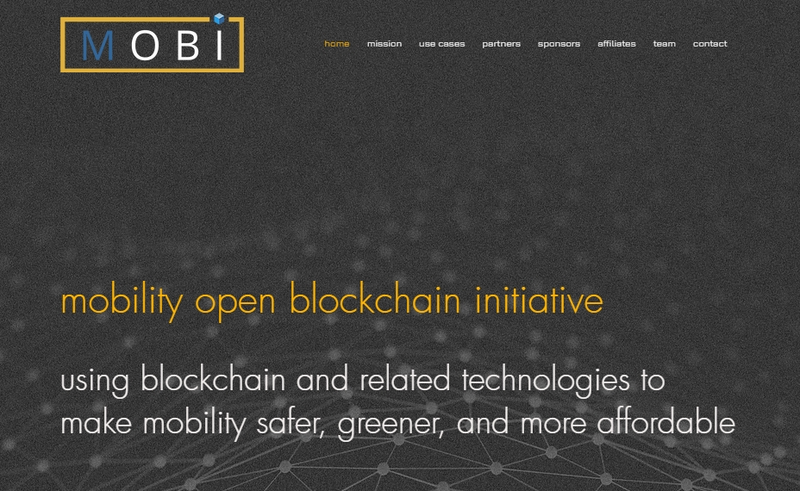 Dubbed “MOBI”, or the Mobility Open Blockchain Initiative, the consortium’s founding members also include Accenture, Aioi Nissay Dowa Insurance Services USA, Beyond Protocol Inc, BigChainDB, Blockchain at Berkeley, Chronicled, Context Labs, Crypto Valley Association, Dashride, Deon Digital AG, Digital Twin Labs, DOVU, Fetch, Foam, Hyperledger, IBM, IOTA Foundation, MotionWerk, NuCypher, Oaken Innovation, Ocean Protocol, Outlier Ventures, Ride Austin, Shift, Spherical Analytics, Trusted IoT Alliance, Vasily, VeChain, Xain, ConsenSys, and ZF Friedrichshafen AG. Chris Ballinger, former Chief Financial Officer and Director of Mobility Services at Toyota Research Institute, is joining MOBI as Chairman and CEO. “Blockchain and related trust enhancing technologies are poised to redefine the automotive industry and how consumers purchase, insure and use vehicles. By bringing together automakers, suppliers, startups, and government agencies, we can accelerate adoption for the benefit of businesses, consumers and communities,” Ballinger said. MOBI will use blockchain technology to create a more open platform allowing users, owners, mobility service companies, and infrastructure providers to better control and monetize their assets, including their data. It help facilitate transparency and trust among users, reduce risk of fraud, and reduce frictions and transaction costs in mobility, such as fees or surcharges applied by third-parties. According to the official release, initial focus areas would be vehicle identity, history and data tracking; supply chain tracking, transparency, and efficiency; autonomous machine and vehicle payments; secure mobility ecosystem commerce; data markets for autonomous and human driving; car sharing and ride hailing; and usage-based mobility pricing for vehicles, insurance, energy, congestion, pollution, infrastructure, etc.